Washers are sold separately. 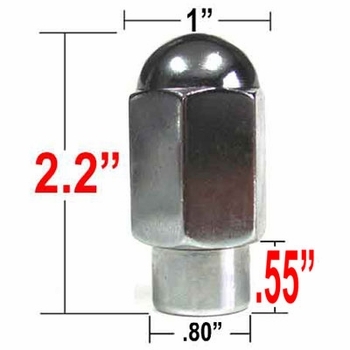 Click here to see lug nut washers to fit this lug nut. Chrome Duallie lug nuts from Gorilla are the perfect replacement upgrade. These high quality Gorilla Chrome Duallie lug nuts are engineered and manufactured using high quality hardened steel. Gorilla Chrome Duallie lug nuts will help your wheels keep turning true. When replacing your wheels, don't forget to replace your lug nuts with Gorilla Chrome Duallie lug nuts..